Online casinos have become increasingly popular in the United Kingdom in the past 10 years and have served to build a multi-billion pound industry. In fact, studies show that online gambling in the UK took up more than one-third of the total gaming spend in 2015. People are playing more at online casinos and less at bookies or brick and mortar casinos. Where do you start if you want to play at an online casino? Nevertheless, you should always keep in mind that all casino games are a game of chance – they are designed to make a profit for the casino. Online gambling is first and foremost a form of entertainment and should be regarded as such. Can you win money at an online casino? Absolutely. Are the odds stacked against you? Yes, they are. However, with these 10 great online casino tips and tricks, you might be able to push the odds a little bit in your favour. 1. Read our reviews before you choose where to play. We have done your homework for you by testing and selecting online casinos that offer a safe, trustworthy and customer friendly casino experience. We always test casinos with real money and check their customer service and withdrawal process extensively. Do not register and deposit money before you are 100% satisfied that the casino is reliable. 2. Always read the bonus terms and conditions before making your first deposit. Every online casino bonus comes with a wagering requirement. This means that you have to play through the bonus amount a certain number of times before you can withdraw the amount. Try to find a wagering requirement that is around 35x the bonus or lower. This way you increase your odds of being able to convert the bonus money into real money before your balance dries out. Always check if there are any games or slots that are excluded from play with bonus money. Most slots will contribute 100% to the wagering requirements, but some will only contribute 75% or 50%. Table games are usually 10% or even 0%. Also, find out if there a maximum amount of money that you can win from the bonus. If there is, consider choosing another casino. 3. Take full advantage of a casino welcome bonus so you can maximise your starting bankroll. Just like a first impression, you only get one chance to use a welcome bonus. Before making the first deposit, find out what the maximum bonus amount is and take advantage of it as much as you can- within your budget, of course. 4. Some casinos offer wager free spins as part of their welcome bonus. Winnings from these free spins do not need to be wagered – everything you win is yours to keep straightaway. This is a considerable advantage over free spins that do come with wagering requirements. Online casinos that offer wager free spins are GUTS, Rizk casino and Thrills. 5. Before you start gambling, determine your budget for the day and stick to it, whatever happens. Always start a gambling session with the mindset that you will win, and decide beforehand what your target win amount is. Should you reach that target goal, withdraw it and only keep playing with the extra money. Don’t forget to set a new goal and repeat the process. 6. Do not chase your losses. Every outcome of an online casino game, whether it is a slot machine or an automated table game, is determined by a computer algorithm known as a random number generator. This means that no game outcome is ever influenced by past or future results. A slot machine is never “due”, nor is an inevitable outcome of a casino game. 7. Practice before you play. Every reputable casino lets you practice the games for free. This is called the Fun Mode and is a great way to familiarise yourself with the game rules, payouts, win lines and bonus features. Some slots have a very high variance and can eat up your credits at lightning speed if you are not careful. Always read the rules of the game and make sure you fully understand them before playing with real money. 8. Do not be afraid to contact the helpdesk if you have any questions, problems or remarks. They are there to help you. All online casinos that we recommend offer a live chat function where the friendly and experienced staff member will help you with any issue you might have. 9. Check the return to player percentage (RTP) of a slot machine. Some slots have a higher return to player percentage than others. Did you know that some slots pay out up to 99%? The higher the RTP, the lower the house edge. 2 or 3% difference in RTP can mean the difference between a winning or a losing session. Check out our best-paying slots page. 10. 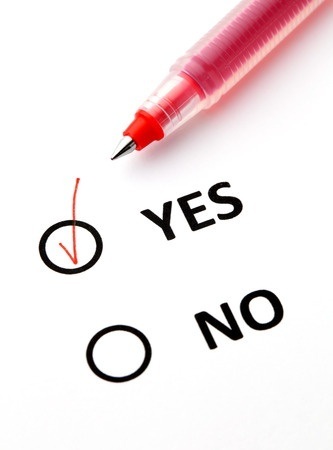 Finally, make sure that you tick the “Yes, I want promotions” box when you register your online casino account. Most casinos will reward you for your patronage by sending you additional promotional offers through the mail. Get free slots spins, extra reload bonuses and updates on all the latest promotions you can take part in.